From tense table tennis battles to blazing down the neon roads of Vice City, we rank the Rockstar Games catalog from worst to best. In the lead up to Red Dead Redemption II’s release, we break down what makes Red Dead Redemption’s protagonist so special. Join the Game Informer crew as they discuss why Red Dead Redemption is one of the best open-world games to date. Reader Discussion – What's The Longest You've Waited For A Port? We want to know the time you most patiently waited for a game others were already playing. Post E3, the editors finally get some rest. spirit of the Wild West. Game Informer saddles up for Rockstar's promising open-world Western. 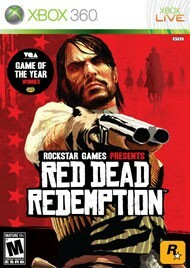 Though it's set in the Old West, Redemption showcases many smart similarities to GTA.